Now you can open your old-->new file with a new Blender program. I asure you,they were not compressed,signed or locked.i never lock or compress my blends.it says that it was an invalid read error.anyway,i just deleted the blends. There are those who resort to entertaining by performance, and those who entertain by Blending. I am of the latter. Press Enter to return to Windows or the combination of buttons ctrl + alt + del to restart your system. Hi im new to these forums and I see you are already talking about add object actuator. I would like to point out and ask for help with a bug i found. I made a spawner, its adds my pre-set up enemy to the active layer. 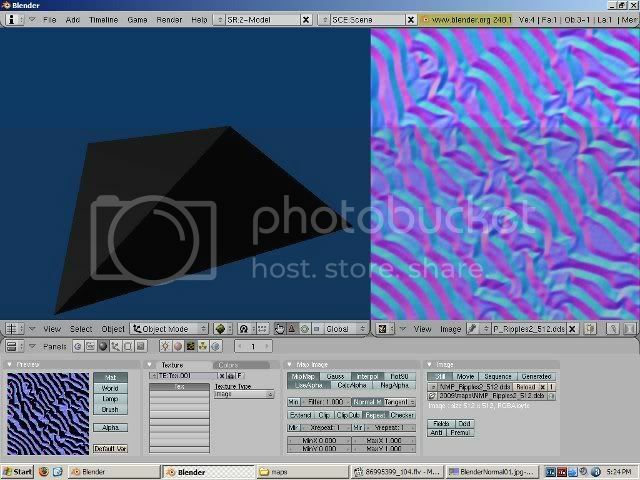 It seems from what i could gather the new instance of the copied object that is brought into the new active layer does not have the properties like the orginal object had. Maybe someone could compare 2.36 to 2.37+ and fix this bug, maybe it will help you with the problems your having with add actuator. I would go about making my game in 2.36 but its super slow compared to the speed of 2.37 or 2.40 Could someone build a fix for everyone or maybe at least point out whats going on. I would really like to have this working. your link is broken, could you host it somewhere else? Darkelfv wrote: Hi im new to these forums and I see you are already talking about add object actuator. I would like to point out and ask for help with a bug i found. malCanDo wrote: YAY! Spend ages finding the world button ( hidden in the materials section!?! ), and then found the SUMO option. Is this the right thread to report bugs on the game engine? I had a small problem when displaying a textured mesh. Without a material assiged to the mesh the ge can display the texture that is assigned on uv mapping view. But if we add a material then we need to make sure it has a dummy texture linked for the uv mapped assigned texture to display, even if we don't want to use the material linked texture for anything (a none texture type). This was confusing as i spent almost an hour trying to figure out why my texture would not appear in the ge and the only difference between a mesh that showed a texture and another that didn't was the presence of a dummy material texture. I need help with the new game engine on Blender. I'm a fairly new user and I decided to use the game engine. I followed a tutorial, but whenever I press P to play, I get a grey screen, not all Grey, just the 3d view port. Pardon me if this is the wrong place to post.. 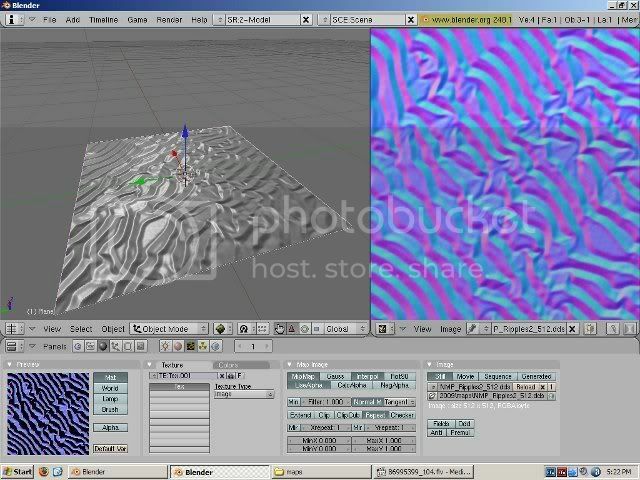 When using normal map, I encounter this problem.. I think it is not my graphic card (ati9600xt - yeah I know, its old), because it was okay in the editing mode.. When running Yo! Frankie (GLSL) - exe, Frankie and some others becomes black! Seems that Blender BGE, doesn't execute as Blender did..
Hello, I seem to be having the same problem as a couple other people. I just finished the GE tutorial, and I keep having to restart blender because after the first few times I run the GE the window it's in just turns blue when the draw type is textured, or gray otherwise. This also happens when I save it as a .exe. I have XP and an old radeon x850 graphics card, and python installed, if that helps. i've got a problem, when I'm firing up the game engine, the whole image dissapears, so i can't watch the physics. I've got a quad PC with 4 gb of ram, 512 Mb by 256 bit video card.What should be the problem? The game engine worked beautiful even on my old PC with a Pentium 4 processor and just 256 Mb of ram. stefitms wrote: 512 Mb by 256 bit video card.What should be the problem? The info on the videocard is a bit lacking (ie. what brand? ), but this most likely is a driver issue. Make sure you have the latest drivers for your videocard installed. Well, I feel dumb. I just needed to put in a camera to make the stand alone game work. When I press p within blender it still turns gray about one in three times, but I can get around that. I am having the same problem as a few other members with the GE. When I first run Blender the GE will work (Sometimes). Then I'll go back to the 3D window and edit a few more things (or change nothing) and run the GE again, however this time I get a gray window with nothing on it. Some times it will do this right away (as in the first run of the GE when I start fresh) and other times it'll wait two or three times. I have tried running it again without restarting the program, but I get a blank every time (after the first time it glitches). I only have 1.00 GB of ram with Vista. Most people complain 1.00 GB is not enough, but I can run The Elder Scrolls IV: Oblivion, Fallout 3, Halo 3, and Knights of the Old Republic 2 (and others) perfectly on the highest settings. Please post on this issue.